Home / review / unboxing / vivo / vivo v5 lite / Review: Vivo V5 Lite, the Best Selfie phone under 10K. Review: Vivo V5 Lite, the Best Selfie phone under 10K. Vivo released a lighter version of the Vivo V5, the newest smartphone that will surely enjoy of consumers with its having a Perfect Selfie camera at the very affordable price. Vivo released 3 phones in V5 Series in less than 6 months, they first introduced the V5 in the 4th quarter of 2016 and then the V5 Plus in last January and the V5 Lite in February. Vivo becoming more aggressive in the philippine market as they targeting to be known as the number smartphone brand in the country. 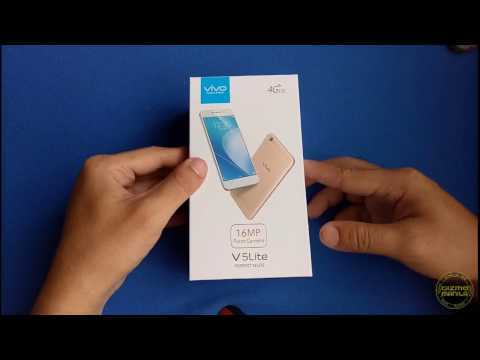 We got this quick video unboxing of the Vivo V5 Lite. The box still same as the previous Vivo phones with simplicity white box design. The Vivo V5 Lite has a aluminum metal unibody design. A 5.5-inch HD IPS screen with Corning Gorilla Glass 3 and a 2.5D curved glass protection. A great build quality phone that its looks and design are almost same as the high-end smartphone in the market. The V5 Lite offers a 16MP Selfie Camera w/ Softlight flash which can be use on low-light situations. The camera also has a built-in app such as beautification mode. We take sample of photo of Front and Rear Camera in different scenario with this under 10K Vivo smartphone and here are some of our shots. the V5 Lite 13MP Rear Camera, perfect for taking outdoor and indoor photos. V5 lite is a mid-tier smatphone which is powered by Octa-core 64bit processor, MediaTek MT6750 chipset and Mali-T6750 GPU. It doesn’t have that much power to play HD games in high settings but you can see a smooth gameplay on a mid settings. We tried different HD games such as NBA2K17, Mobile Legends and mortal Kombat. Here are the scores Vivo V5 Lite using the Antutu benchmark app. The Vivo v5 Lite is perfect for consumers whose looking for a Mid-range phone with great Selfie Camera at under 10K price point, this phone is really one of the top choice today. The V5 Lite doesn’t have much power in terms of gaming, but you can still play an HD games on mid-low settings for a smooth gaming experience. Additional points for having an Hi-Fi Audio, it makes the music makes perfect!. The Vivo V5 Lite is now available in all Vivo kiosk and concept store and other partnered store nationwide at P9,990. For more news about Vivo, visit http://www.vivo.com/en/.